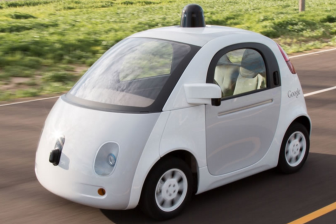 Self-driving technology is on the rise and developments are being reported on an almost daily basis. However, new research from Kelley Blue Book reveals that Americans are most comfortable with the vehicles currently on the road today, believing that they are significantly safer than models with a higher level of autonomy. The company commissioned the national study to understand current consumer perceptions and misconceptions of autonomous vehicles overall and by each level of autonomy. The survey, conducted by market research firm Vital Findings, found that consumers are torn between the need for safety and the desire for control, with 51 percent of respondents replying that they prefer to have full control of their vehicle, even if it’s not as safe for other drivers, while 49 percent prefer to have a safer roadway for all, even if that means they have less control over their own vehicle. There are six levels of vehicle autonomy identified by the Society of Automotive Engineers (SAE), from Level 0 (human-only control) to Level 5 (no human driver). “The industry is talking a lot about self-driving vehicles these days, with multiple automakers and ride share companies throwing their hats in the competition to build and release the first fully autonomous vehicle to consumers,” said Karl Brauer, senior analyst for Kelley Blue Book. According to the survey, awareness of the higher levels of vehicle autonomy is limited, with six out of ten respondents admitting that they know little or nothing about autonomous vehicles. For half of the survey respondents, the perception of safety and personal comfort with autonomous technology diminished as the level of autonomy increased. When survey respondents were asked to make a choice between the different levels, Level 4 autonomy hits the ‘sweet spot’ by providing all the benefits of full vehicle autonomy without stripping away the option of driver control. This isn’t surprising, considering 80 percent of respondents believe that people should always have the option to drive themselves, and 64 percent prefer to be in control of their vehicles. In fact, most consumers (62 percent) do not think they will live to see a world where all vehicles are fully autonomous.